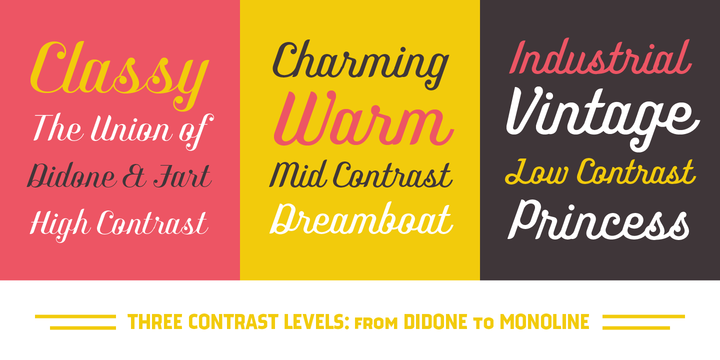 Benson Script is a stylish font published by Kyle Wayne Benson. Including various types of styles and stroke width, Benson Script provides suitable tools for numerous kinds of design. It ingeniously combines geometric elements with ornament sets and manages to create functional characters. Although it is characterized by modern features, Benson Script adorns modern simplicity with decorative details. A font description published on Friday, January 31st, 2014 in Fonts, Kyle Wayne Benson by Andrei that has 3,905 views.